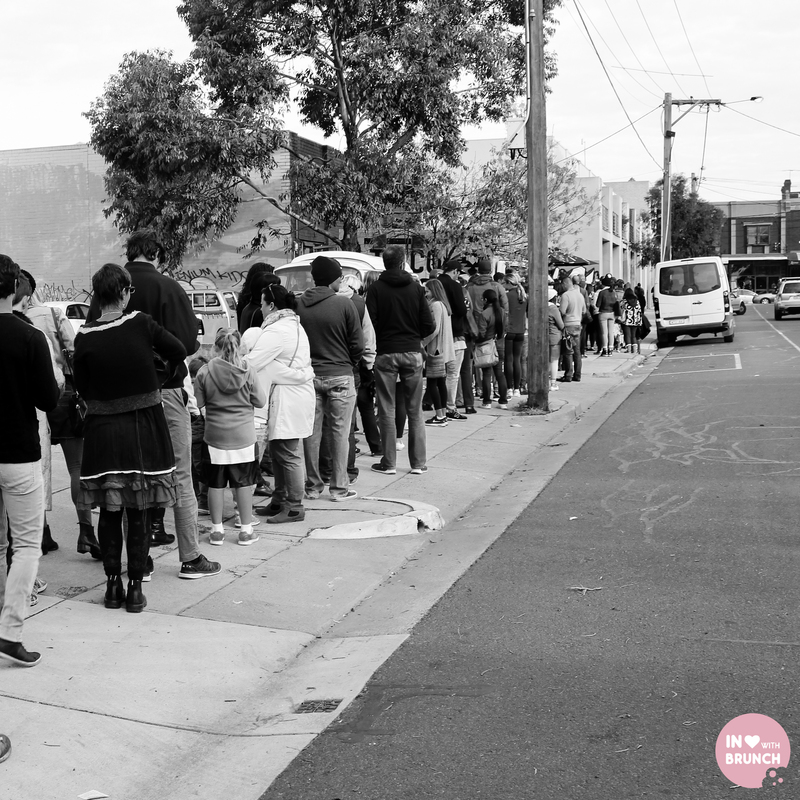 as a precursor to the flour market coming up on the fifth of july at the collingwood town wall (get there early as last year sold out in a couple hours), organisers held a pop-up event in brunswick a couple of saturdays ago. 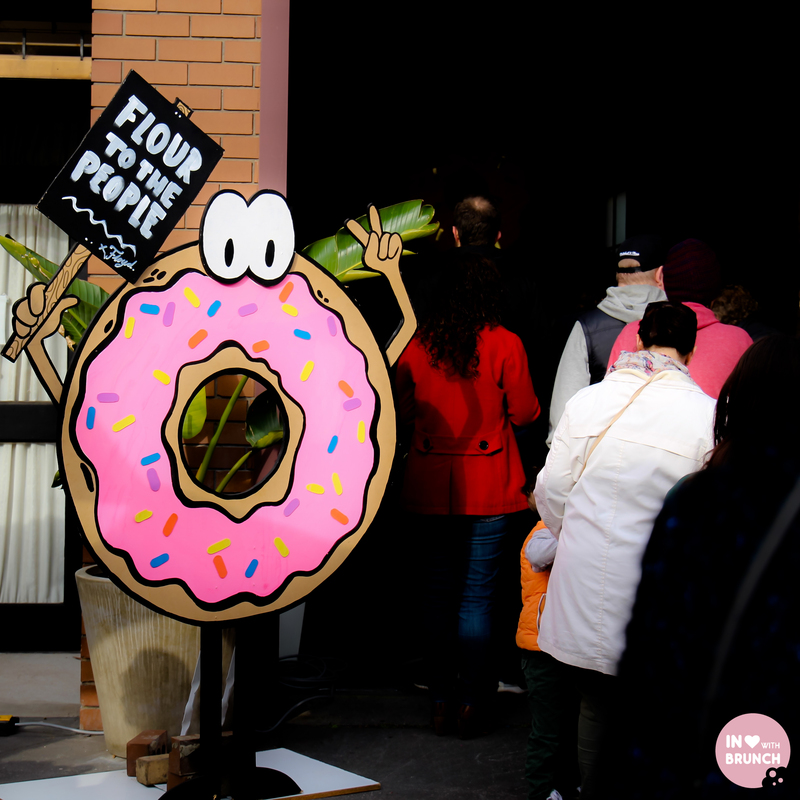 a selection of melbourne’s most popular doughnut artisans turned up to display their morsels of deliciousness in an empty warehouse, which you’d think…. “cool, fun idea, i might pop along and grab a doughnut or two if i live in the area”. think again! not only did pretty much half of melbourne turn up (slight exaggeration), but they were leaving armed with boxes FULL of doughnuts. 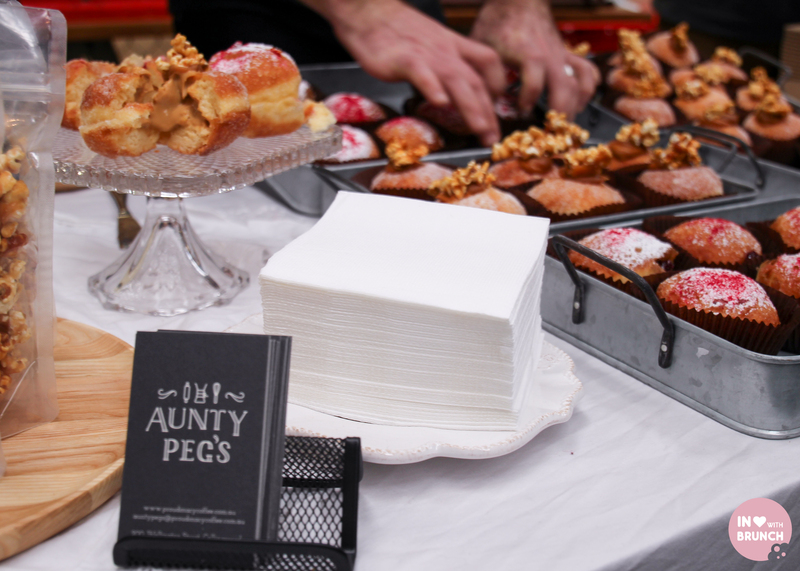 i guess i should’ve learnt by now… but when it comes to food and melbourne… if you bake it, they will come! the line snaked down the block even at 9.30am when i arrived, and by the time i got into the warehouse quite a bit was sold out. 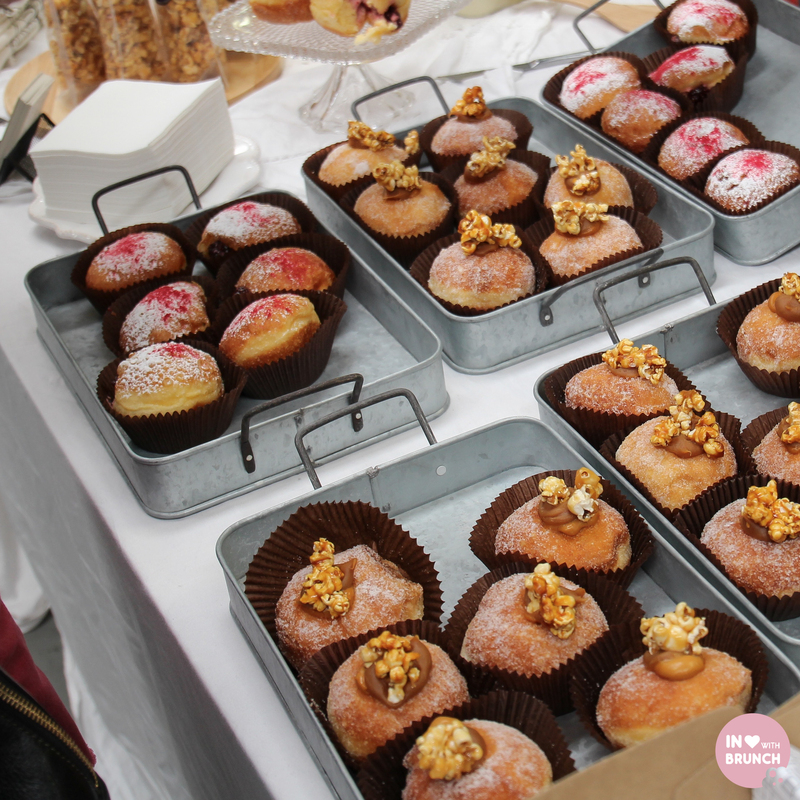 however, here are a few of the drool-worthy doughnuts i did manage to try and where to find them on an ordinary day. owned by proud mary coffee, stop into this space in collingwood during the week for a sweet treat and black coffee (only). 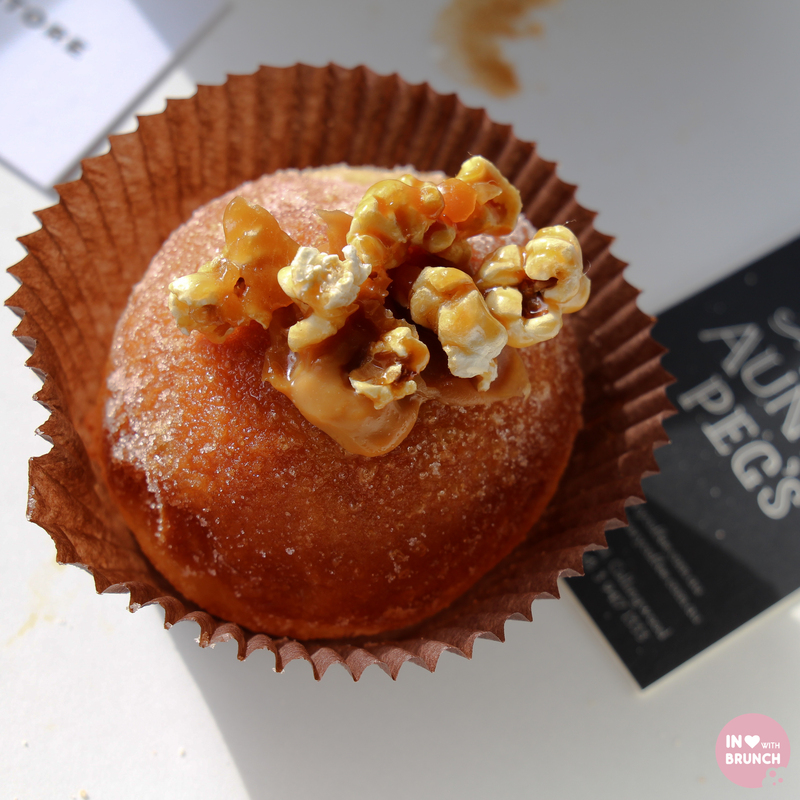 this caramel popcorn donut was my favourite of the day. the filling is gooey and drool-worthy. i had my husband try the plain cinnamon and a glazed donut (after all, a girl can only eat so many donuts in one day!) – both were fluffy, sweet and… gone within two seconds. 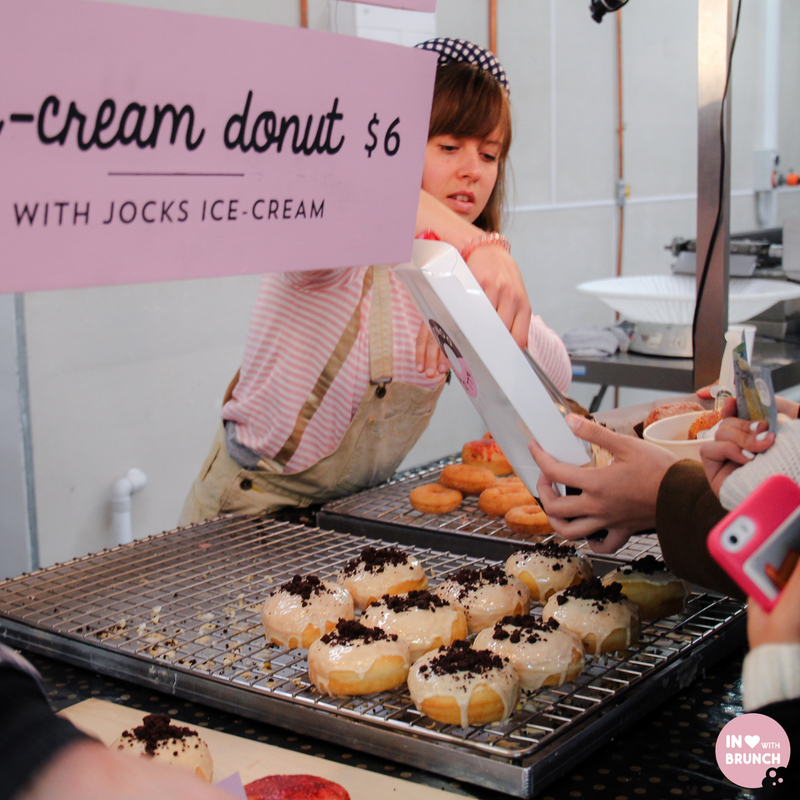 however, on a normal trading day (sans the frantic rush of doughnut-crazed euphoria) they also have amazing looking filled crème donuts and an enticing-looking jock’s ice-cream filled donut. 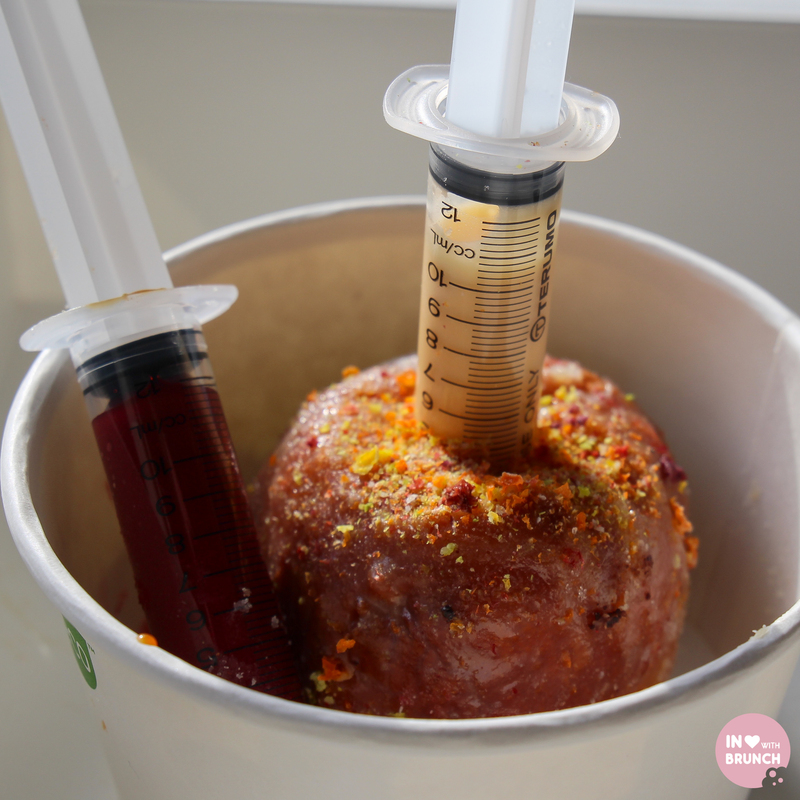 it you’ve seen these syringe-topped donuts on instagram and didn’t know where to get on your hands on one them – now you do! not only is the novelty of squirting the filling into the donut yourself super fun – it also makes for an explosive delicious taste… and if you’re blonde like me, a bit of a mess… but still super fun! cobb lane donuts are a regular of mine, thanks to the fact that clement coffee at the south melbourne markets sell them. 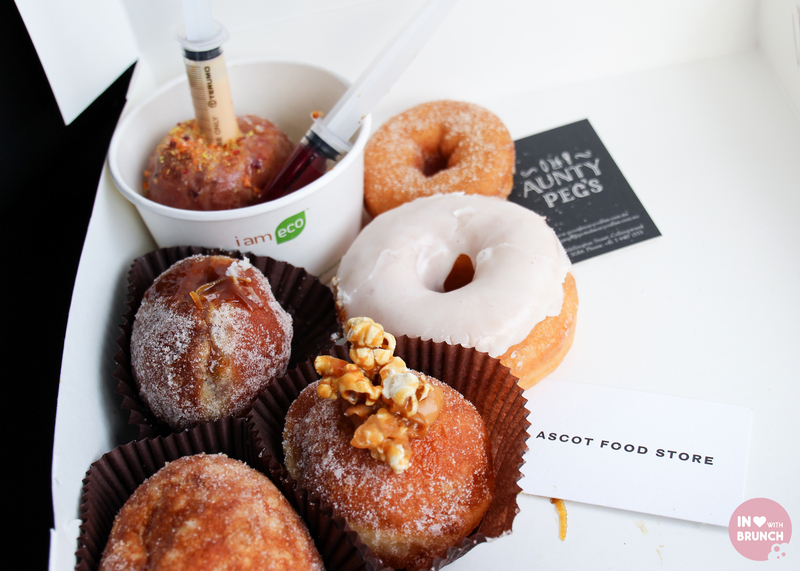 their salted caramel filled donut is simply amazing – covered in a generous amount of cinnamon suger, but you can also get ‘pistachio & violet’, ‘lychee, rose & raspberries’ and a few other just-as enticing flavours. irresistible. 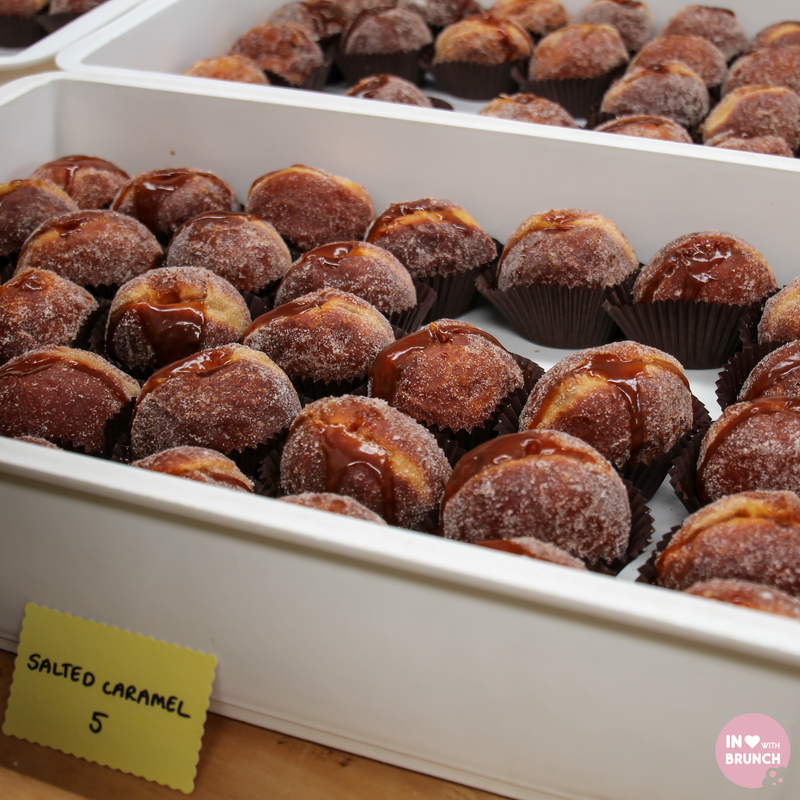 so, next time you’re craving a dougy ball of sugary goodness, i recommend hitting up one of these amazing artisans. and like i said… get to the flour market early! otherwise i might have already beaten you to all the baked goods! All of the jealousy going on right now…. OMG… I heard that the lines were epic, but that photo..!! Totally worth it though it looks like! haha yeah – that line! you’ve gotta love melbourne + it’s obsession for yummy food! Still amazed at the craziness that surrounds doughnuts. What did you think of the nutella ones? I was planning on going, but after seeing the queue, I’m glad I stayed in bed. Having said that, I have total food envy from these pics! Ugh this looks so awesome. I’m craving donuts at this moment.